MANILA, Philippines – Today (15 June 12016), PNoy admitted that he considered declaring martial law in Sulu three weeks ago to fight the ASG (Abu Sayyaf Group). But he also said that imposing martial law was ruled out as it may be counter productive. In a press conference in Jolo, Sulu, PNoy said that "Walang guarantee na magkakaron ng positive results. Baka magkaron pa ng negative results. Baka magkaron pa dagdag simpatya sa mga kalaban,". 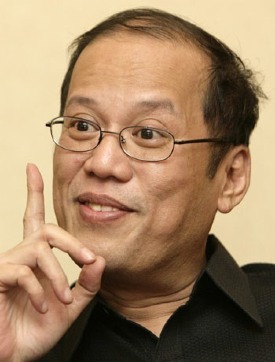 Aquino also said that declaring martial law may drive more people to support, sympathize and join the bandit group. PNoy, the outgoing president said that he considered imposing martial law as the deadline for the Abu Sayyaf's ransom for their hostages drew near. Earlier this week, the Abu Sayyaf beheaded Robert Hall, the second Canadian executed by the group after John Ridsdel last April. Abu Sayyaf was demanding P600 million for Hall and two other hostages – Filipina Marites Flor and Norwegian Kjartan Sekkingstad. The hostages were abducted from a resort in Samal Island in September 2015. He had briefed Norwegian Prime Minister Erna Solberg about the situation and asked for a probability of a rescue operation. PNoy said. Canadian Prime Minister had condemned the bandit group for killing Hall and stressed that the Government of Canada will not pay ransom to hostage takers.